The Verge reports that Build 10240, due today, will be the final version for PC vendors and consumers. Microsoft has reportedly made the final changes to the shipping version of Windows 10, as its next OS prepares to launch in less than two weeks. Citing unnamed sources, The Verge reported this morning that Build 10240 of Windows 10 will be the one Microsoft designates as “released to manufacturing,” or RTM. The RTM version of Windows 10 will be sent to PC makers as well as printed onto retail DVDs of the highly anticipated operating system. Windows 10 will go on sale July 29, but the late RTM means not all PC vendors will have the OS in computers by then. In fact, this week, Microsoft admitted some vendors would not have PCs ready with Windows 10 by July 29. That news didn’t sit well with some vendors. Michael Dell, CEO of Dell computer, publicly said his company will have Windows 10 PCs available for sale on the launch day. The reported RTM ship comes very near to the anniversary of another important milestone for Microsoft. According to a Tweet from former Microsoft exec Brad Silverberg, the company’s landmark Windows 95 OS was released to manufacturing almost exactly 20 years ago. That was the last Windows OS that people actually lined up for. 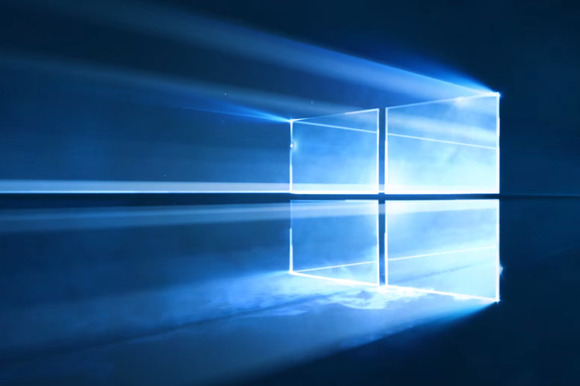 Why this matters: The launch of Windows 10 is seen as a pivotal moment for Microsoft and arguably the PC industry. Coming off a cold reception for Windows 8, Microsoft has softened the drastic difference of Windows 8 by blending back in some of the more beloved features from Windows 7. The company is also being far more aggressive than by essentially giving away the OS to existing customers for the first year. Windows 10 could potentially be Microsoft’s last traditional launch, as the company moves more toward a software-as-service approach.